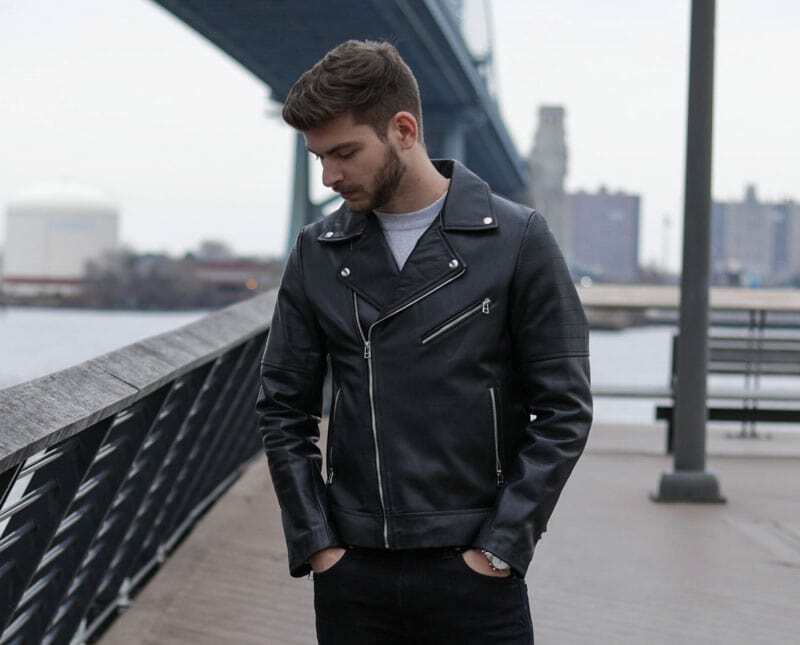 From James Dean to the Beatles to James Franco, leather jackets have been nothing short of downright iconic throughout men’s fashion. 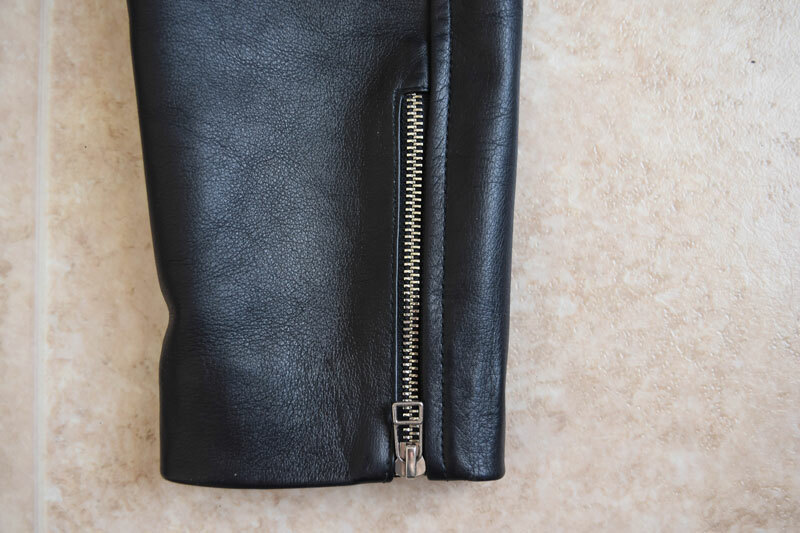 Treat it right, and your jacket can quite literally last a lifetime, so don’t be afraid to shell out the extra bills for something you can pass down to your kids (or your cat if you’re one of those people). The kind folks at Beckett Simonon sent me a sample jacket in exchange for an honest review. I do not receive a commission from jackets sold nor will I sugarcoat my opinion to please the company. 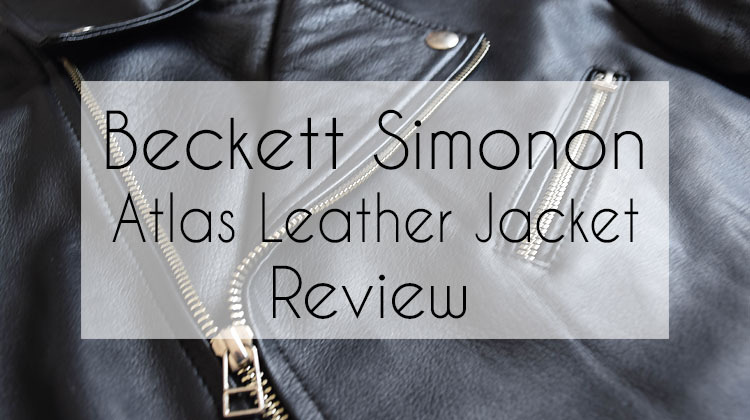 With that out of the way, let’s take a look at the Beckett Simonon Atlas jacket! 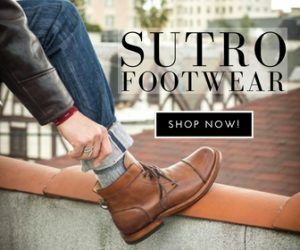 Beckett Simonon is a direct-to-consumer fashion house specializing primarily in leather footwear, with some limited runs of jackets, bags, and cedar shoe trees. With a logistics model similar to Gustin, Beckett Simonon keeps no inventory and relies on a made-to-order model. This ensures there’s a direct equilibrium between supply and demand. No brick & mortar, no warehouse costs, no clearance sales, and no wasted materials or resources. The result? Cost savings that are passed down to the consumer, but with the tradeoff of several months of delivery time. If you’re not in a haste to receive your product, this sales paradigm should appeal to you. Each product is manufactured humanely through family-owned workshops in either Europe or South America. Ethical manufacturing of a stylish garment at a friendly price? Sounds good to me! 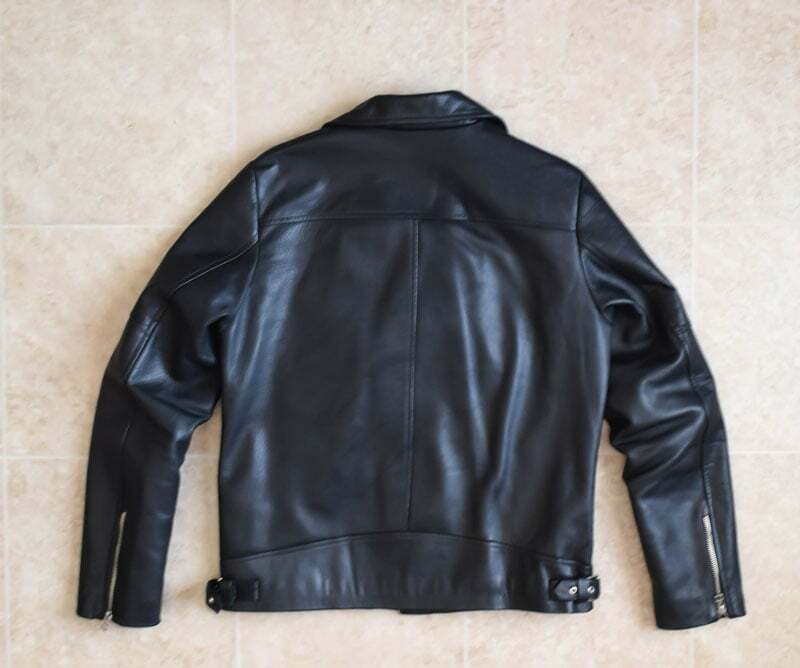 Before we get into the details of what makes this jacket an excellent entry into leather outerwear, we should understand why exactly a jacket costs this much and also why it could be worth your coin to pick one up. 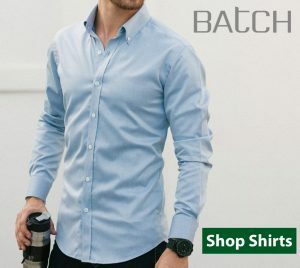 The Beckett Simonon Atlas Jacket retails for $379 with free shipping and returns. Let me just say that quality leather is not cheap. You may be able to get a “budget” bonded leather at a cheaper price, but you’ll sacrifice longevity and animal/labor ethics. For more information, check out this leather grade guide from Heddels. To summarize: full grain > top grain > suede > corrected / “genuine” > bonded leather. 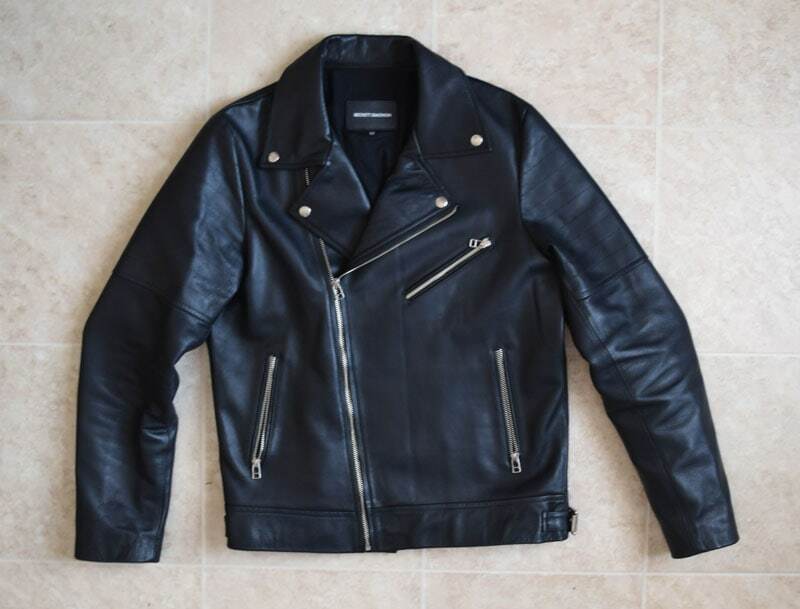 Compared to similar double rider leather jackets like the Schott Perfecto ($780), the Atlas comes in at a very reasonable price all things considered. This graphic shows a few different styles of double rider/biker leather jackets. Before anyone jumps down my throat justifying the higher price tags of Schott and SLP, this graphic is meant solely to differentiate styles, not price points. One of the biggest things I like about the Beckett Simonon Atlas jacket is its minimalist and modern approach to a classic design. The double rider type of leather jacket is inherently busy. Extra contrasting zippers, buttons, and general hardware are part of the original design. Pockets, shoulder straps, and even built-in belts are nothing strange when it comes to these jackets, so it’s not entirely fair for me to count the more streamlined design of the Atlas as a definitive plus. For me, however, the relatively simple construction of this garment excellently combines the essence of the timeless double rider with a modern minimalist style. No belt. No clunky pouch. 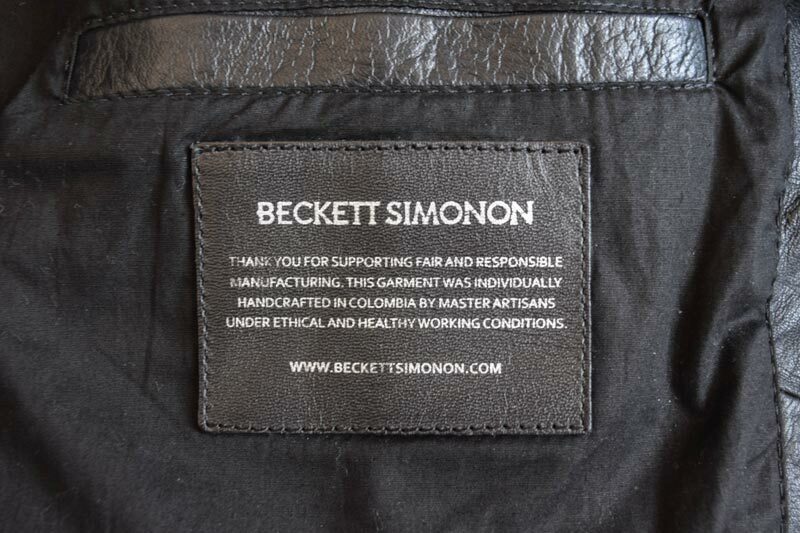 In fact, my sample didn’t even come with the shoulder straps shown on the Beckett Simonon website. But you know what, I’m not half mad about it! One of my concerns prior to receiving this jacket was a sort of skepticism of whether or not I was “cool” enough to pull off a double rider. The go-to outerwear for Hollywood stars and action heroes? 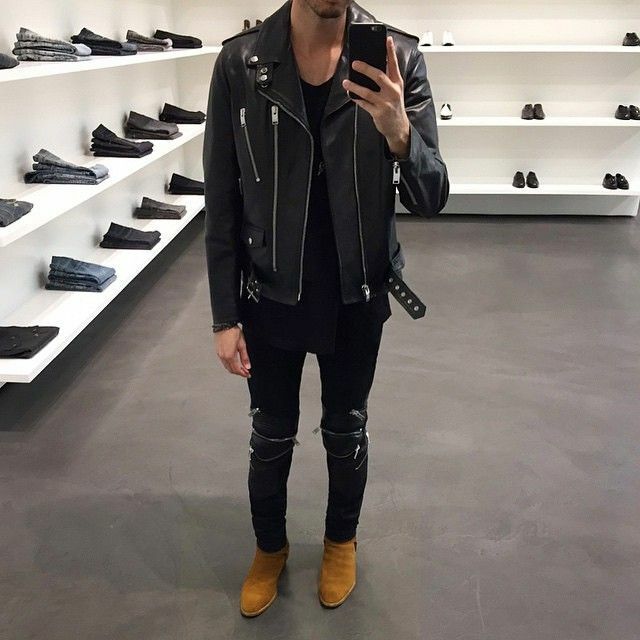 I’m certainly not one to gravitate towards the “SLP aesthetic” nor did I actually own a motorcycle so I had my doubts. Upon receiving the jacket from Beckett Simonon and trying it on, my skepticism was quickly and surprisingly dismissed. The jacket fit absolutely perfectly and it made me feel good. It’s sort of a weird feeling to convey through text, but my first impressions of wearing the Atlas jacket and how I felt wearing it were excellent. 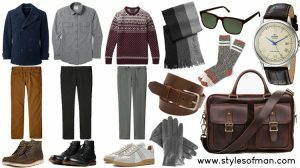 I immediately searched for some inspiration albums and began experimenting with some outfits. Imgur inspiration albums here and here. I won’t claim this jacket is largely versatile by any means. In fact, every outfit I’ve come up with it have it as the centerpiece of the fit. However, that’s just the nature of statement pieces like this. If you’re seeking an everyday jacket that’ll seamlessly integrate into your existing wardrobe, double rider jackets probably aren’t for you. 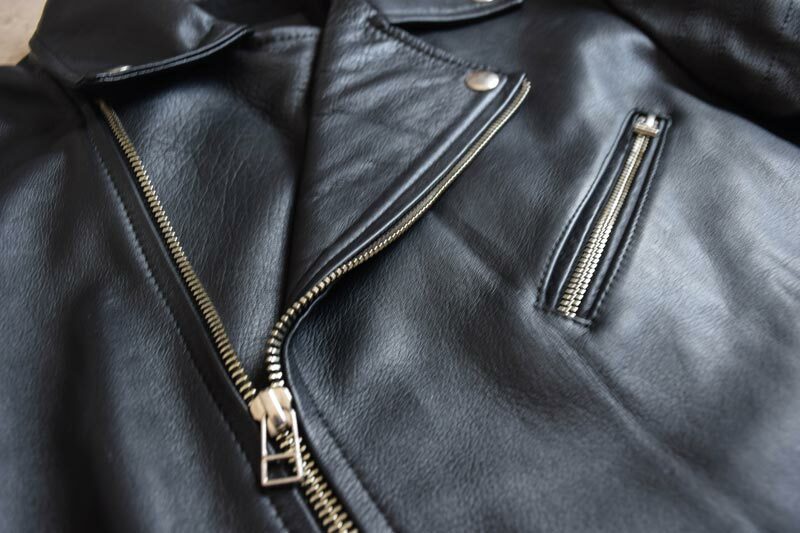 It seems only fitting that a post about a leather jacket has a focus on the leather itself, right? The Atlas jacket is constructed in Colombia from full-grain, Argentinian calfskin leather. It’s almost entirely smooth to the touch with just the right amount of texture. Something important to me is the semi-matte finish on the Beckett Simonon Atlas jacket. It’s not entirely flat black and has just the right amount of shine. The jacket itself is enough of a statement piece where I’m not looking for it to dazzle and sparkle as soon as I walk into a room. The hardware is also very solid. 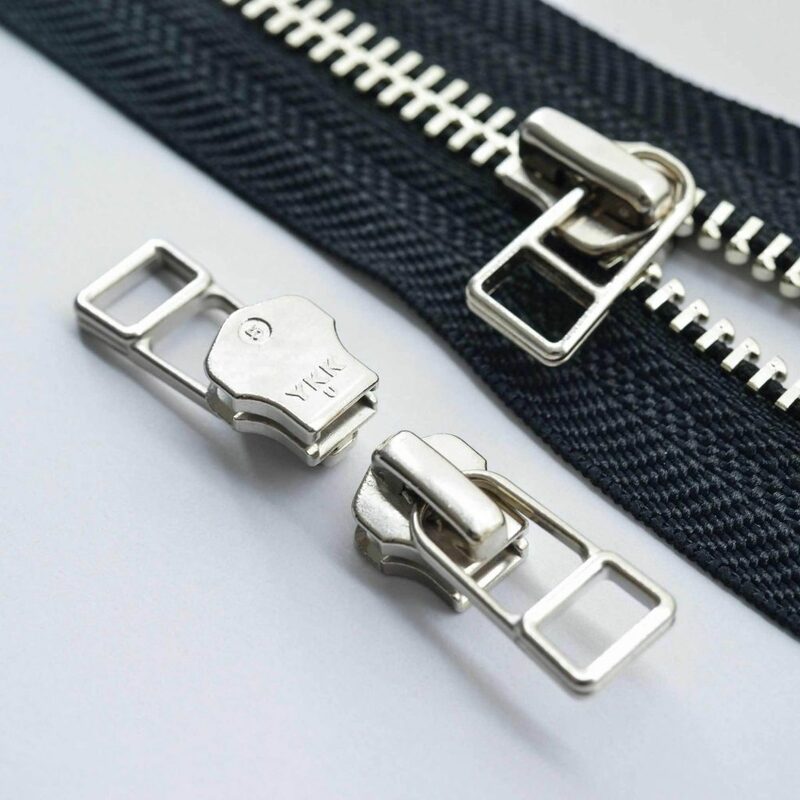 The Atlas sports Japanese YKK Everbright zippers, which have higher corrosion resistance as opposed to regular fasteners. All of the metal elements of the Atlas are composed of a nice silver color, which in my opinion offers an appealing contrast to the smooth black leather. Adjustable buckle at the sides of the Atlas. Functional, but mostly serves as decoration. It genuinely surprised me how well the Atlas fit me, especially for a generic sizing. For reference, I’m 5’9″ 160 pounds and the medium size fits very well with room for a thicker shirt or sweater underneath. Some double rider leather jackets are meant to be shorter, but the Atlas ends right at my belt line which I prefer! For a heavier jacket, the Atlas is pretty non-restricting. The leather bends and folds seamlessly with my movements, especially along the arms. All in all, it’s downright comfortable to wear and I’m looking forward to the leather breaking in even further. It’s as if I’m wearing a second skin…wait. Like I mentioned earlier, I love how the Atlas balances key elements of the classic double rider without some of the extra ornamentations of other makes. 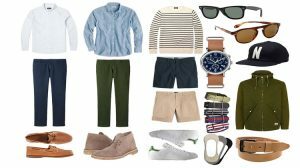 Not only does it make for easier outfit pairings aside from the typical white tee and jeans, but it doesn’t scream “look at me”. Tieing my Beckett Simonon Morgen trainers (review coming soon) while wearing the Atlas. The jacket hardly restricts any movement, even with the thicker leather. I’ve been wearing my Beckett Simonon Atlas leather jacket a few times a week for about 4 months now and it’s quickly become one of the strongest contenders in my outerwear lineup. The Atlas has become noticeably more comfortable as I’ve worn it again and again. Another reason why I love full-grain leather goods. This will be a jacket I know I’ll have for years to come. 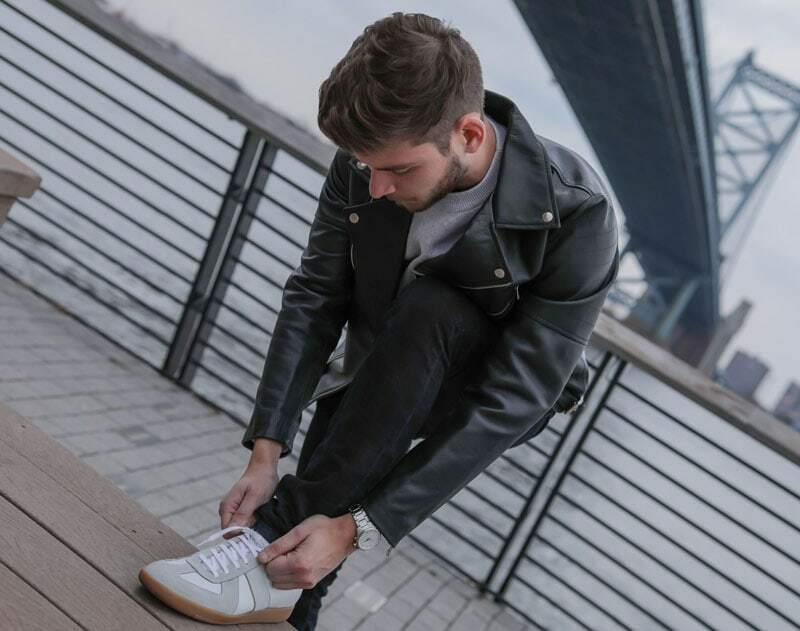 All in all, I’m incredibly pleased with the quality of the Beckett Simonon Atlas leather jacket and I’m certainly keeping my eye on the company’s newest releases. I’d be more than happy to answer any questions. 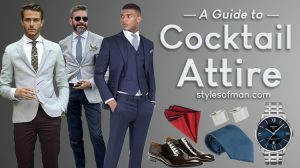 Shoot me an email at business@stylesofman.com or a DM on my Instagram. ‘Til next time!